The award-winning documentary arrives next week. An intimate look at the life and times of champion boxer Katie Taylor is set to hit cinema screens on Friday 26 October, and the trailer presents a fittingly hard-hitting tale of adversity and triumph. 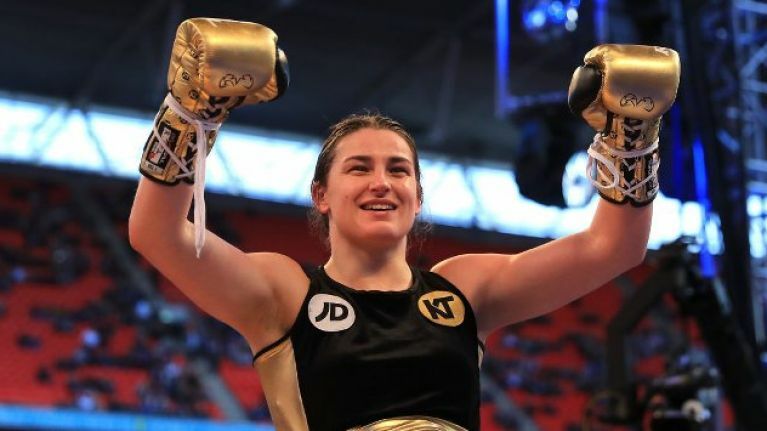 The movie, simply titled Katie, explores the difficult relationship between the fighter and her father Pete, which began to break down at a crucial time in her career, and how she bounced back to become a champion. Our own Rory Cashin was among those who came away highly impressed following the film's screening at the Galway Film Fleadh - where it won Best Irish Feature Documentary - calling it a documentary "that fills the viewer with pure pride". Known for being quite a private individual, Taylor granted director Ross Whitaker and a small film crew close access as she attempted to climb to the top of the mountain once again. "We get a decent look at who she is as a person, as well as a fantastic overview of the profoundly positive influence she has had not just on boxing, but for all female sports personalities around the world," notes the JOE review. To see where Katie is screening, click here.